Cherry flavored Coca Cola gummy candy. 10 pieces per pack. 100 mg THCEdipures medicated candy are a fusion of fresh fruit flavors with a strong dose of THC in every piece. 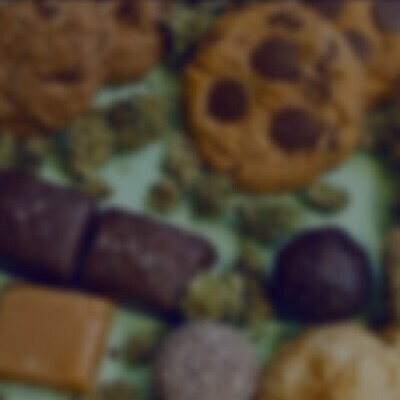 Soft, chewy, and coated with sugar, these candies are a delicious and easy way to medicate.Laboratory Tested THC Infused Edibles EdiPure medicinal products are infused with THC derived by using lab grade reagents and methods to extract, then prepare the THC so that it can be infused into a host of edible products with exact THC dosing and no resulting cannabis taste.Minimal Cannabis Taste Using a proprietary approach for the infusion of EdiPure products, our THC extraction and preparation methods allow us to infuse a host of edible products that have minimal cannabis flavors or taste.Precise THC Dosing Through redundant lab methods and testing, we are able to determine the precise concentration of THC in our EdiPure infusion materials, which provides us the ability to infuse our products with exact THC dosing.